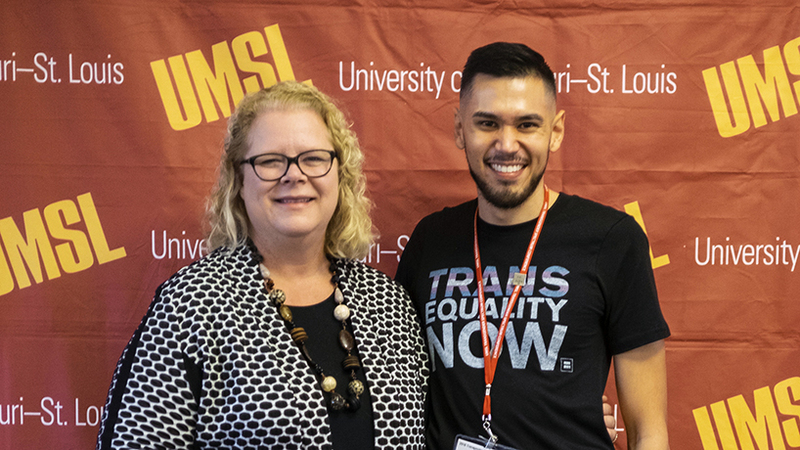 For its fifth iteration, the Transgender Spectrum Conference returned to its original home at the University of Missouri–St. Louis. Held annually, the conference brings together the transgender communities of the greater St. Louis area and beyond to enhance visibility and provide resources for community members, parents, allies and professionals such as counselors, social workers and teachers. It took place on Friday and Saturday in the J.C. Penney Conference Center. 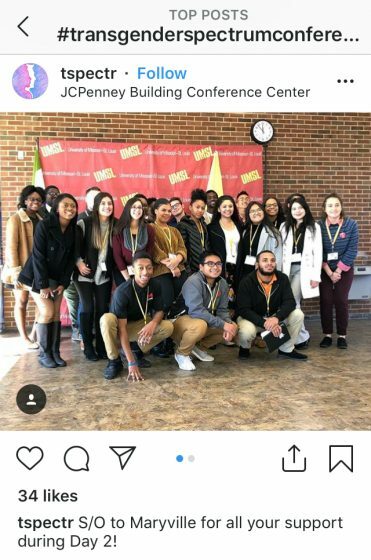 The conference is the result of ongoing collaboration with Washington University in St. Louis, which housed the conference for the past two years after UMSL served as as host in the inaugural and subsequent events in 2014 and 2015. 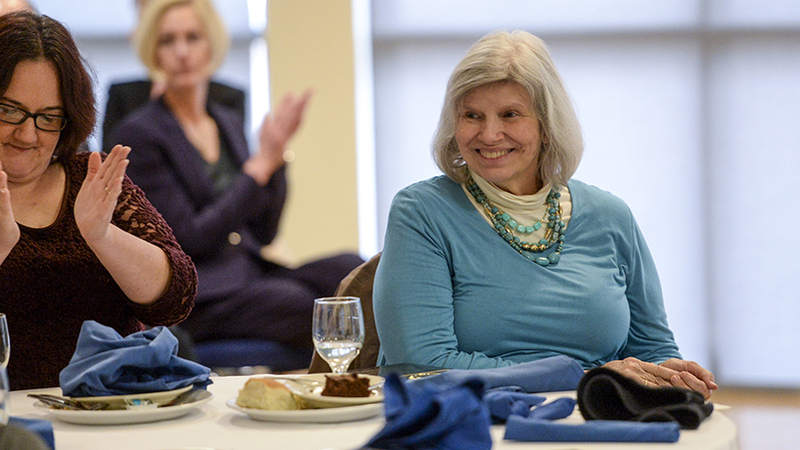 In addition to Hawkins, a board comprised of community members and academics from UMSL, WUSTL, Webster University and Saint Louis University organized the 2018 conference. 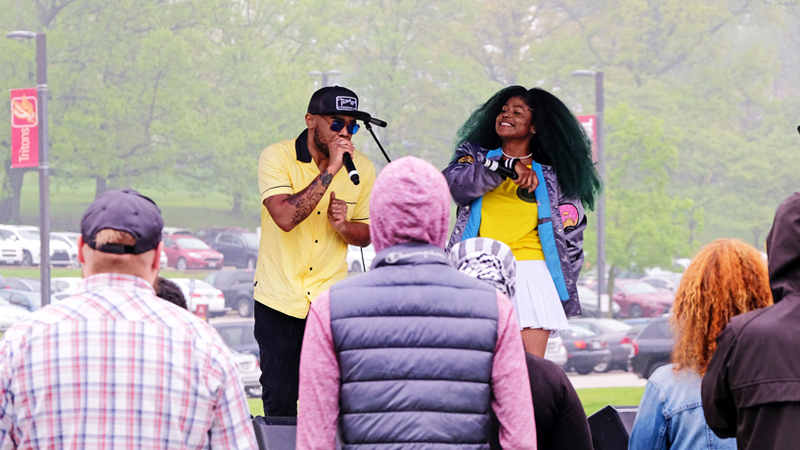 Turnout trended up from 2017’s 300-some attendees, and a record number of students from UMSL and area schools such as Lindenwood, Maryville, Webster and WUSTL registered. Jay-Marie Hill from the American Civil Liberties Union of Missouri spoke on the opening plenary panel, the State of Trans address. Kristin Sobolik, UMSL provost, executive vice chancellor and professor of anthropology, kicked off events on Friday by telling a personal story of advocating in the Doe v. Clency case, which was the first instance of a state court ruling in favor of transgender bathroom rights. The opening plenary panel, the State of Trans Address, featured speakers Sayer Johnson from the Metro Trans Umbrella Group, Jaimie Hileman from Trans Education Service of St. Louis and Jay-Marie Hill from the American Civil Liberties Union of Missouri. Hill spoke on the Missouri Nondiscrimination Act, which, for the second time in 20 years, the state house committee passed this May. Hileman followed, covering the Affordable Care Act, bathroom bans, St. Louis’ new Transgender Memorial Garden, the military ban and more. Despite the challenges, she chose to see possibility in the victories, calling it “a case for hope.” Johnson wrapped up the panel with a discussion of the lack of systems in place for transgender peoples and how MTUG is changing that. Other panels ranged in topic from Trans or Nonbinary 101, parenting, education, medicine, lobbying, legal advice, storytelling and more. The speakers themselves were just as varied and represented organizations such as Babson College, Armstrong Teasdale, Ferguson Readings on Race, Johns Hopkins University, Louisiana State University, McDaniel College, PROMO, SAGE: Advocacy & Services for LBGT Elders, Sisters of St. Joseph of Carondelet, TransParent USA, That Uppity Theater Company, ThinkWell Counseling, VA St. Louis Healthcare System, UMSL, University of Michigan, Walden University, Women’s Empowerment through Cape Area Networking, WUSTL, Virginia Commonwealth University and others. 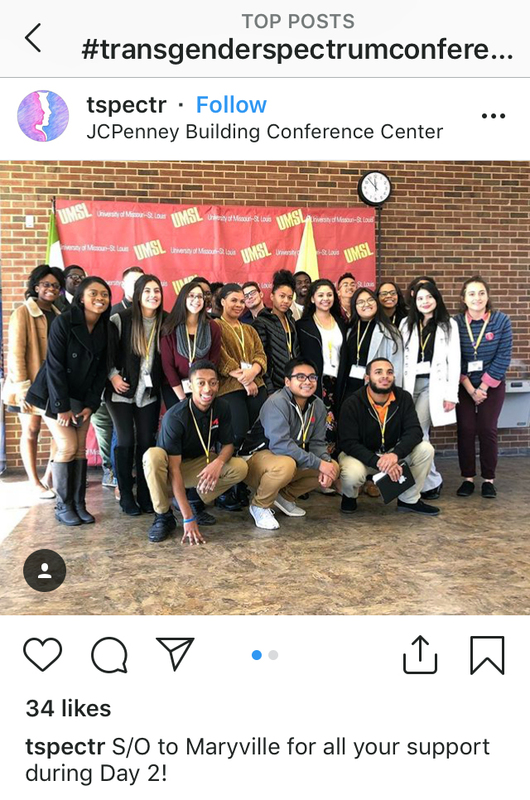 Students from Director of Business Collaboration and Assistant Teaching Professor Perry Drake’s “Digital and Social Media Marketing Lab” took on the conference as a client and provided social media and branding for the event. The class created a hashtag, #TSC18, and BSBA students Madison Martin, a senior, and Lauren Pivac, a sophomore, were on hand at the social media wall to run the Instagram and Facebook feeds and share the stories of participants. Conference attendees from Maryville University posed in front of the social media wall on Saturday. 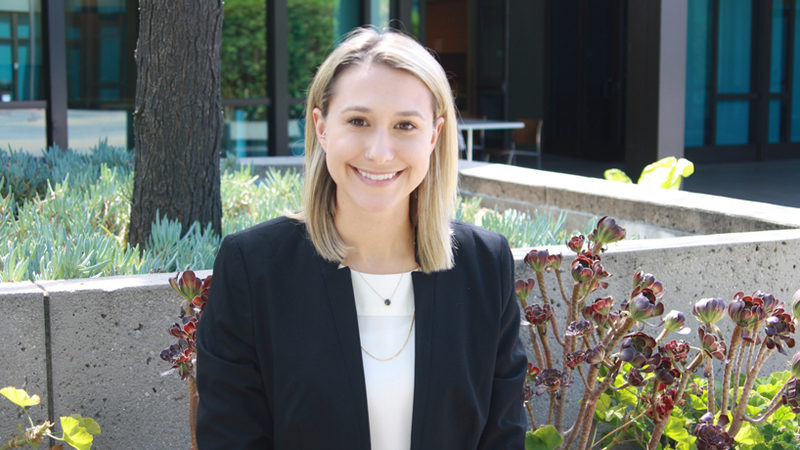 One attendee, Rachel Wyrick, a counseling MEd student, said she had decided to come because she was interested in the research, information and speakers as well as exploring more about non-binary gender identity and being an ally. 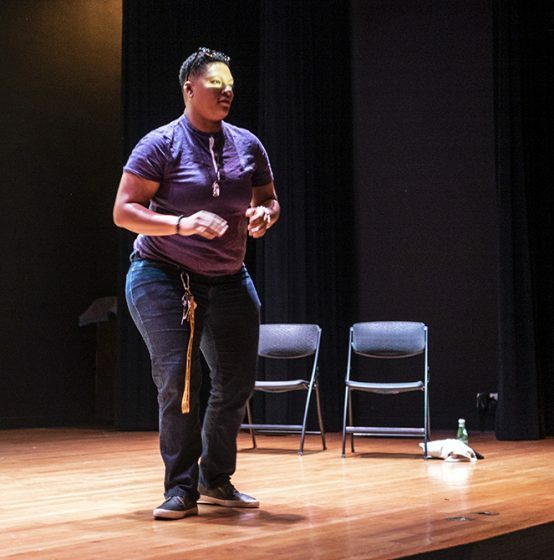 The gender-nonconforming activist Janaya Khan gave the keynote address on Saturday. Khan cofounded Black Lives Matter Canada and is a prominent social justice educator. They implored attendees to advocate for justice for all peoples. “We need to protect each other, but it can’t just be trans and nonbinary people protecting ourselves,” Khan said. “We actually need to rely on others who are taking it just as personally. We need a culture shift. Hawkins considers UMSL a natural fit for the conference and notes how the university’s new mission statement, We Transform Lives, jives perfectly.